Broadway's spring season is shaping up oh so sweetly! 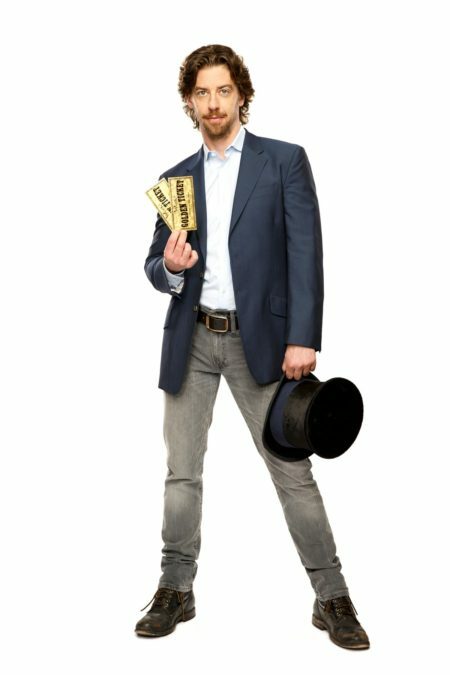 Charlie and the Chocolate Factory, led by two-time Tony winner Christian Borle (after Falsettos), will begin performances on March 28, 2017 at the Lunt-Fontanne Theatre. Directed by Jack O’Brien and choreographed by Joshua Bergasse, the reworked transfer of London's hit tuner is set to officially open on April 23. The West End staging officially opened at London’s Theatre Royal Drury Lane on July 25, 2013, starring Tony and Olivier winner Douglas Hodge as Willy Wonka and helmed by Sam Mendes. It is set to shutter on January 7, 2017.